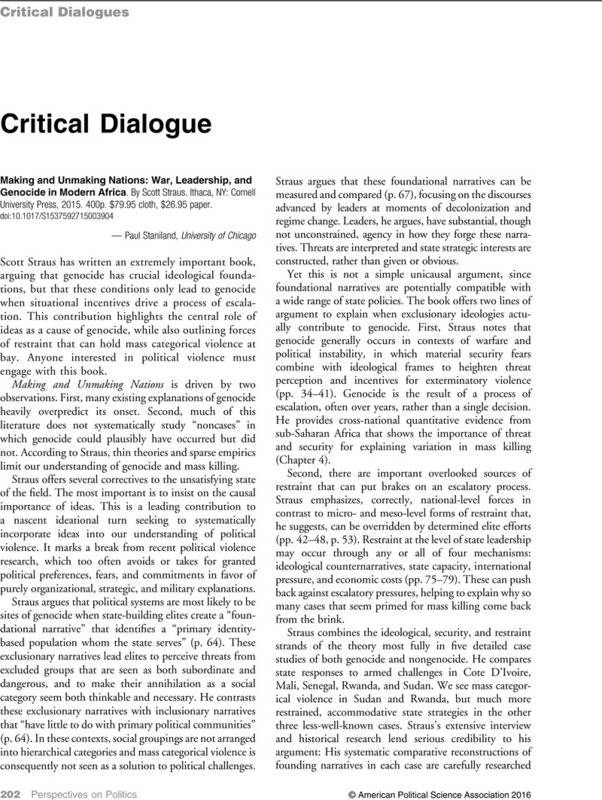 Critical Dialogue - Making and Unmaking Nations: War, Leadership, and Genocide in Modern Africa. By Scott Straus. Ithaca, NY: Cornell University Press, 2015. 400p. $79.95 cloth, $26.95 paper.